There was never any doubt in my mind. For that matter, I would say that anyone over the age of 30 probably didn’t have any doubts either. For all of us remember the world as it was rightly so, a world where the Russians are the bad guys. I’ll refer to them as Russians for my under 30 readers, but the rest of world would know them as the Soviets. You see, these Klingons, I mean Soviets were the mortal enemy of the west for half a century. Now sticking with my theme that the average people of the world are probably good people, I’ll extend that same courtesy to the average Russian. Just not the average Soviet. Granted, most of my worldview about the soviets are framed by fiction, but never underestimate a half century of propaganda. So let’s explore the guiding framers of my Soviet world view. 1. 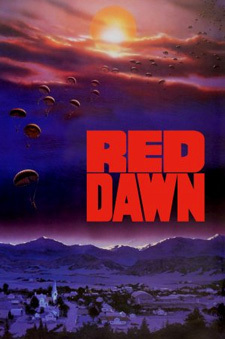 Red Dawn – Born in 1979, the 1984 hit Red Dawn was my first exposure to the evil Soviet Horde. The Soviets somehow invaded America and wrecked havoc on small town America. The movie was a hit. Kid’s loved it, and when playing war, we instantly went to yelling “Wolverines!” and joining in the fight with bottle rockets and pvc pipe. I’ll never forget how those evil Russians shot Patrick Swaye and Charlie Sheen’s dad. He told them to avenge him and avenge him they did. So by the mid 80’s at ripe age of 5 years old, I knew who the bad guys were. Also this movie is a great case for gun ownership. See my article 4 Mediocre Reasons Everyone Should Own a Gun. 2. 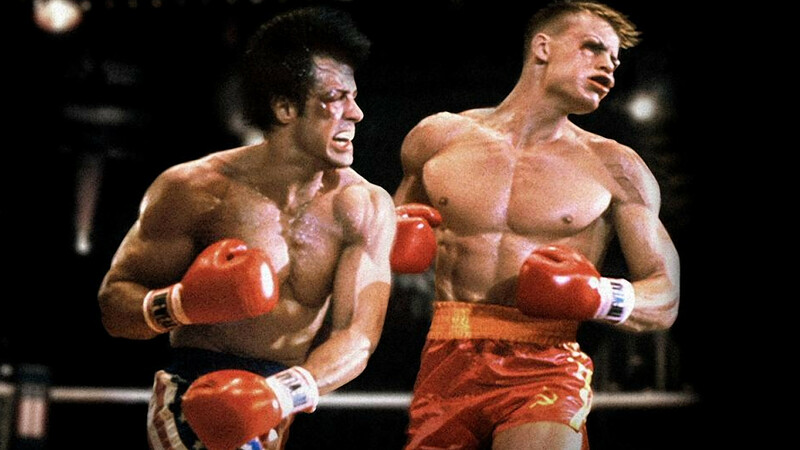 Rocky IV – As if invading America were not enough, then the Soviets had to go and kill Apollo Creed by beating him to death in 1985. Apollo Creed started off as the bad guy in Rocky, then became the good guy and after helping Rocky beat up Mr. T, you couldn’t help but love the guy. I mean if the Russian had beat him fair and square, then so be it. But the movie makes it clear that Ivan Drago was juicing. So now, not only are the Soviets an invading murdering horde, now they are cheaters. No one likes a cheater. 3. Rambo III – By 1988, the Soviets have done it again. They done went and invaded the peace loving people of Afghanistan. We all know Afghanistan as a bunch of hippie peaceful tribes just trying to live their lives and bothering no body in the West right? Well, in the 1980’s, the Soviets took on these gentle souls and started gunning them down. In Walks Rambo. Rambo must go in to save the day. When you see just how lovable these Afghans are by watching them play their polo style horse game or something with Rambo, you realize that these Soviets really are heartless evil people. 4. Social Studies Class – Thats right. Social Studies. I remember this as my favorite class growing up and I also remember this as the one hour a day of why the Soviets are the bad guys. We get to see how they were partners with is in good ole WW2, but Patton never trusted them so why should a 6th grader like me. I can distinctly remember a 6th grade Social Studies teach tell us how the Soviets could nuke us at anytime. Like seriously, I remember her driving this point home hard. We even watched some videos of nuclear explosions. Now not only do I know the Soviets are evil, but they will bring about the apocalypse in the next couple of years according my 6th grade social studies teacher. Thanks lady. I know that didn’t happen, but I am still with you teach. They are just trying to fool us. 5. Red Storm Rising – That is the picture you see at the top of the post. That is a 1986 classic book that I actually didn’t read until about 2002. However, after a decade of being subdued by this ruse of a peaceful Democratic Russia, I needed something to remind me of who they really are. 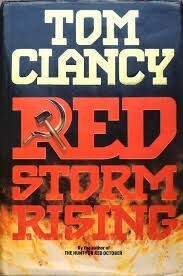 This Tom Clancy book is amazing and I am still upset it has not been made into a movie. The Soviets in need of oil, launch a global attack and the book takes you in a variety of stories as this War begins. Amazing book, I couldn’t put it down. But most importantly, it reinvigorated me in my distrust for the Soviets. So there you go. The Russians are the bad guys. I know it, you know it, and you can’t convince me otherwise. If there was ever any doubt, just look at Vladimir Putin. Let’s quit pretending like this guy is not straight out of a James Bond villain character. This judo chopping, bear hunting, walking around with shirt off leader just looks treacherous. Really, he doesn’t even look like a nice guy. Keep on guard Obama, this Putin guy is bound to be the villain pulling the strings all along. So when the world acts with shock as Russian invades Ukraine, I say, of course they did. They are the bad guys. And that’s what bad guys do. Follow This Blog on Social Media Below or Sign Up to Receive New Posts via Email.